We attended a carving clinic this morning. Carving has nothing to do with slicing meat, cows giving birth or medicine, but an advanced method for turning on skis. 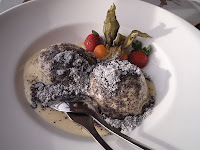 Two hours later, our skiing had improved significantly enough to justify the consumption of an enormous lunch including one of our favourites, ‘Germknödel’, a steamed dumpling with plum puree, vanilla sauce and a topping of poppy seeds and sugar which looks like cigarette ash. Yum. 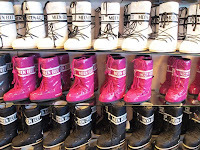 Towards the end of the day, a minor problem with a ski binding required the assistance of a technician in the village who chuckled at my nine year old boots and disintegrating liners. Somehow we walked out of the shop with a new pair of boots. Well, they were long overdue. 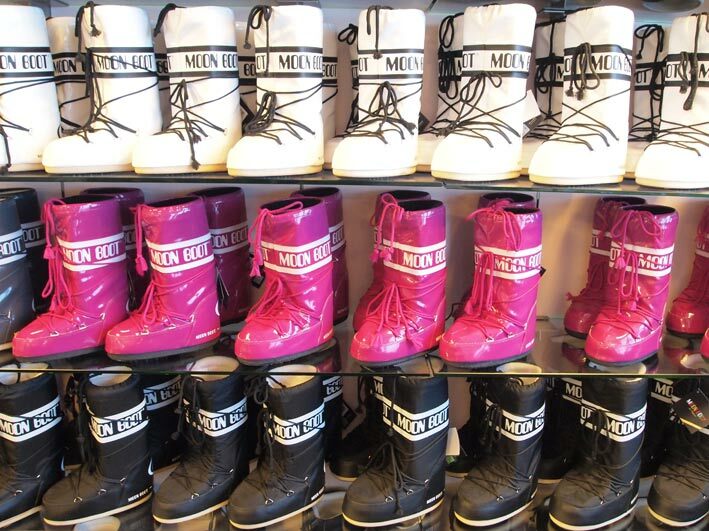 We have noticed that ‘Moon Boots’ are making a comeback in some of the shops. Mrs M had a blue pair in the late 1970s. Somehow, they look even sillier than they did thirty-odd years ago.